Tracking your steps and sleep patterns has never been easier with our personalised Smart Watches. These watches connect seamlessly to your phone to help keep track of your daily fitness. 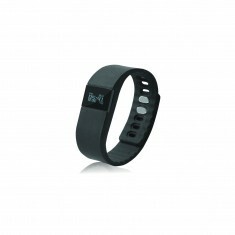 Since the launch of the ‘FitBit’, customised activity trackers have become increasingly popular. From making sure you get your daily steps in, to monitoring sleep patterns to make sure you are getting the correct amount, branded smart watches are incredibly useful pieces of technology. Most of our promotional smart watches come in a variety of colours and all can be custom printed with your design. 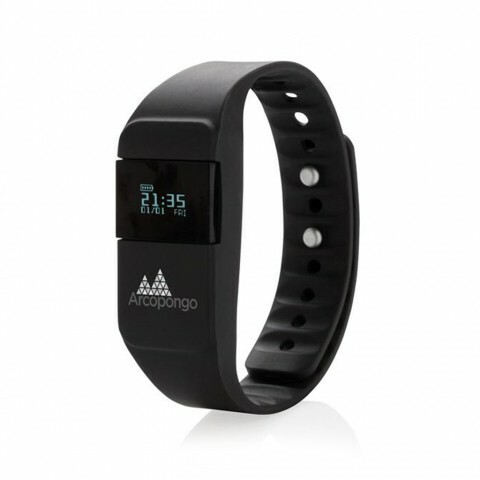 Compact and branded with your logo to the front of the watch, the Keep Fit Activity Tracker is designed to keep track of steps, distance walked, calorie in-take and sleep and report it all back to the app. 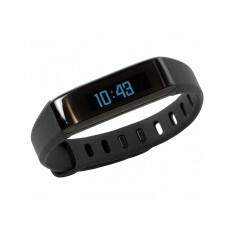 If you’re in search of something a little slimmer, our custom printed Energy Band does the same but also displays the time on its slim display screen. Curious as to what the finished product will look like? Give our sales team a call and we can arrange free of charge visuals for you to find out. Adjustable strap. OLED screen. Bluetooth connection. Branded to the front, below screen. Bluetooth. 60maH battery. Vibrate function & analyses sleep quality. Water resistant. Soft touch. Bluetooth. OLED display. Branded via laser engraving.